I’d been curious about the new Arkansas museum, Crystal Bridges, created by Alice Walton of the Walmart fortune, since it opened late in 2011. I went last week, while I was visiting family living outside of Hot Springs. My Arkansas relatives and I drove up through Ozark country to the small Walmart town of Bentonville to spend a day at the museum. Outside of Hot Springs, before we left on our trip, everyone I talked to spoke well of the museum, whether they had been to it or not, whether they were interested in art or not. The subject of a painting bought for 35 million kept coming up. I noted the lack of anger, and the lack of disbelief on people’s faces when this subject was mentioned. I was curious what kind of painting could be bought for 35 million during a recession that didn’t anger people who maybe aren’t that interested in art. I understood a bit better when I saw the painting “Kindred Spirits”. The painting is representational and it’s not by Barnett Newman, and people in New York were angry that people in Arkansas took it away from them. Almost everybody I talked to knew that story. At least the 35 million dollar painting is about friendship and collaboration, I thought to myself. I found these pre-museum conversations pretty interesting – especially the thoughtfulness on people’s faces when the subject of the 35 million dollar price tag came up. It seemed as though the meaning and the value behind that well-known purchase was rolling around silently in everyone’s head – like, what is the value of 35 million? what is the value to us since we purchased it? Is it going to be worth more soon? Does it say something sacred about us? Does it watch us as we cross the room? I should mention that my family is from Texas and that they and their friends are, for the most part, Republicans and Christians. I understand that their faces in these conversations might be very different than all the other faces I didn’t come across in Arkansas. But with these faces, there was clearly enormous trust that there was value and meaning behind these art decisions. I was seeing trust in art decisions where I hadn’t before. I can tell you that the museum is good, the crowds are huge and the politics are strange. The museum’s interests, purchases and displays change the value of some of these works – as is the nature of a museum. I could see values being raised or lowered, rearranging values in the art world a little bit. 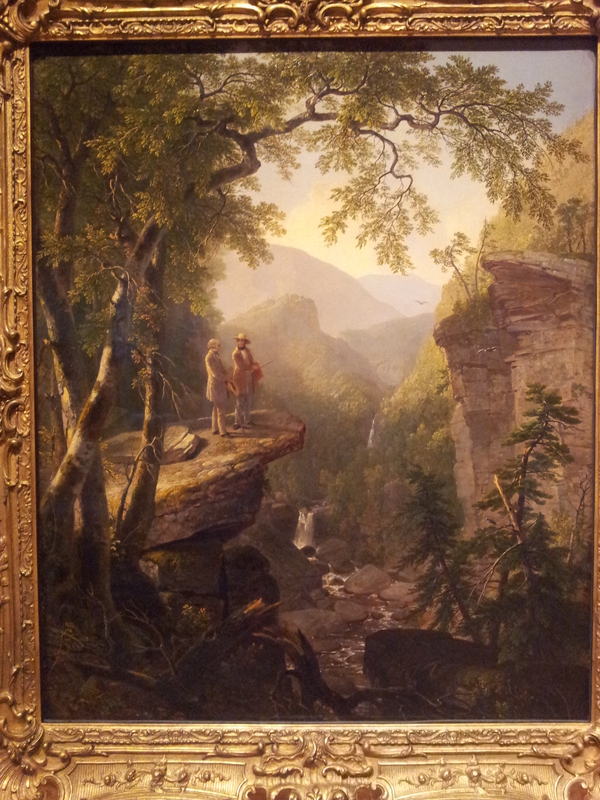 It was interesting to see the American painters from the Hudson River School settle into a more confident position in an American museum. It was interesting to see the problems of colonialization, racism, sexism, truth and beauty, America and class brough out intentionally and unintentionally in the art . It was nice to see crowds with headphones in front of Kara Walker’s work. It was fascinating to see a room full of complicated Arkansas mythology art. It was great to see Norman Rockwell, and one of his most moving, feminist pieces given a prize spot in the contemporary art section. 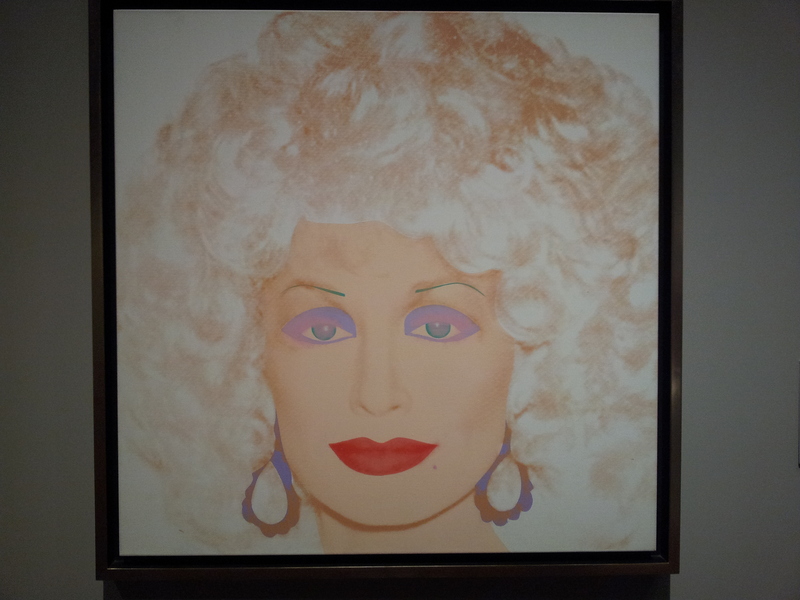 And it was great to see Dolly Parton and Andy Warhol holding hands. 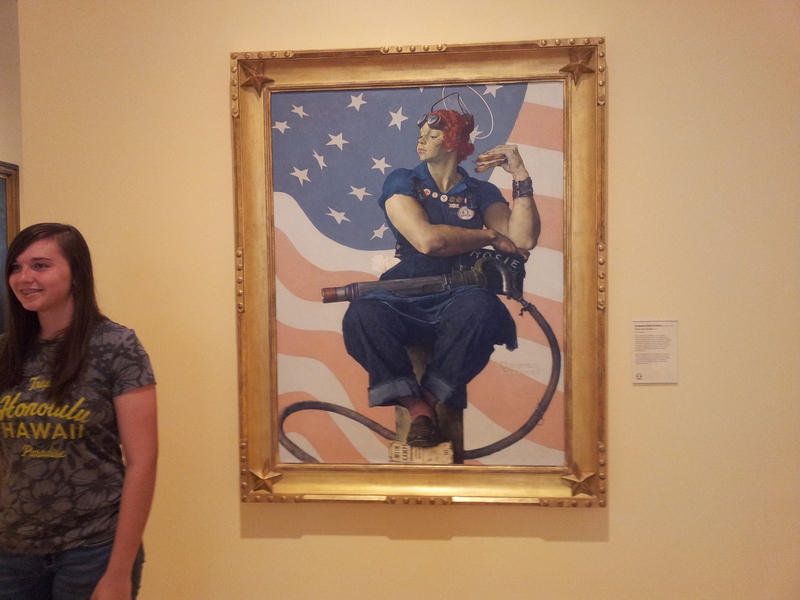 *For more on the subject, Kelly Klaasmeyer wrote a good piece in Glasstire, Crystal Bridges: Don Bacigalupi, Art, Arkansas, Populism and Wal Mart.